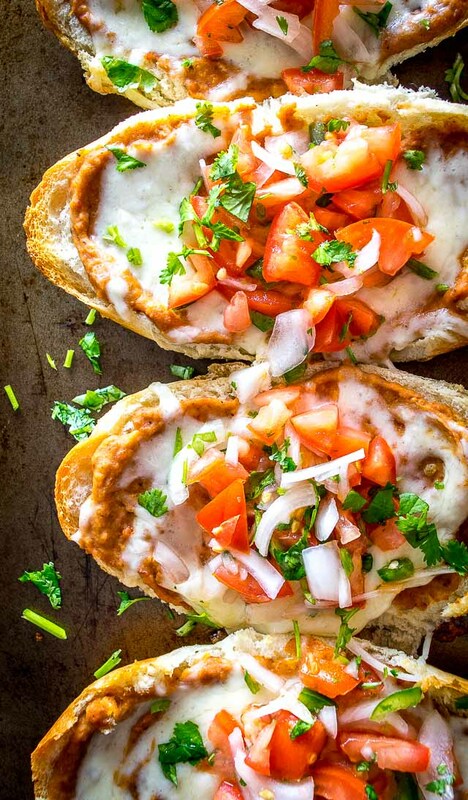 Most likely you already have everything you need to make a batch of these Molletes. And that’s how they’ve become such a staple in Mexican cuisine — they use such common ingredients that you can always whip up a plate when you’re running on fumes and need food NOW. 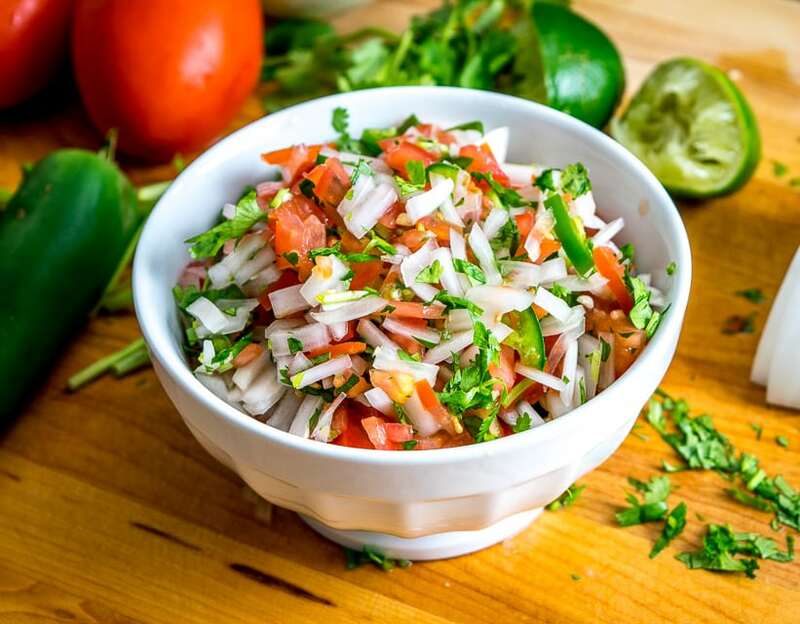 Give the freshly made Pico de Gallo a try if it’s your first time making these. Yes, piping hot cheesy beans are awesome, but I think it’s the Pico that can transform these open-faced sandwiches into more than just a meal on the run. You’ve got lots of leeway on the beans so I’ll list a couple good options. Yes, a can of refried beans will do the trick, but I think it’s worth whipping up your own batch because you can get a massive upgrade in flavor for very little effort. Of course, if you open up the fridge and see a batch of Charro Beans then you are set. That’s what we’re using for this batch of Molletes. The above pic is a puree of the Charro Beans from a couple weeks ago (recipe here). Those beans are resting in some broth so they blend together quite easily — just plop ’em in a food processor or blender and give ’em a whirl. Charro Beans have tremendous flavor and are a perfect fit for Molletes, but keep in mind that Charros are made with bacon. If you want a vegetarian option then it’s worth getting familiar with the Black Bean Puree we use in our Black Bean Nachos. It’s a flavorbomb and you’ll find yourself coming up with all sorts of excuses to make it. 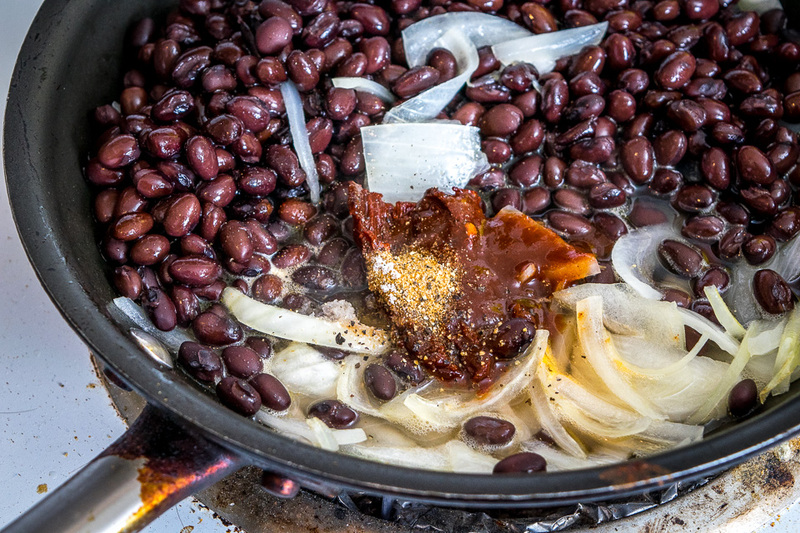 You’re essentially just cooking off some black beans with onion, garlic, chipotles and spices. 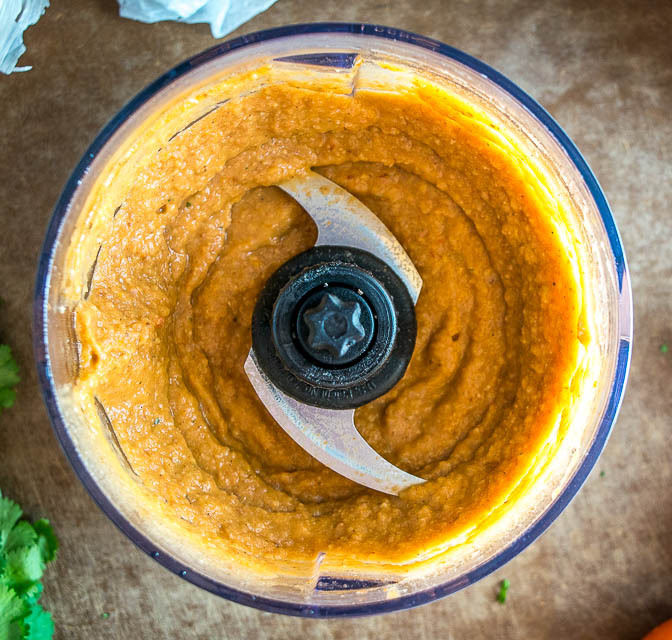 It’s super easy and you’ll end up with an otherworldly bean puree. 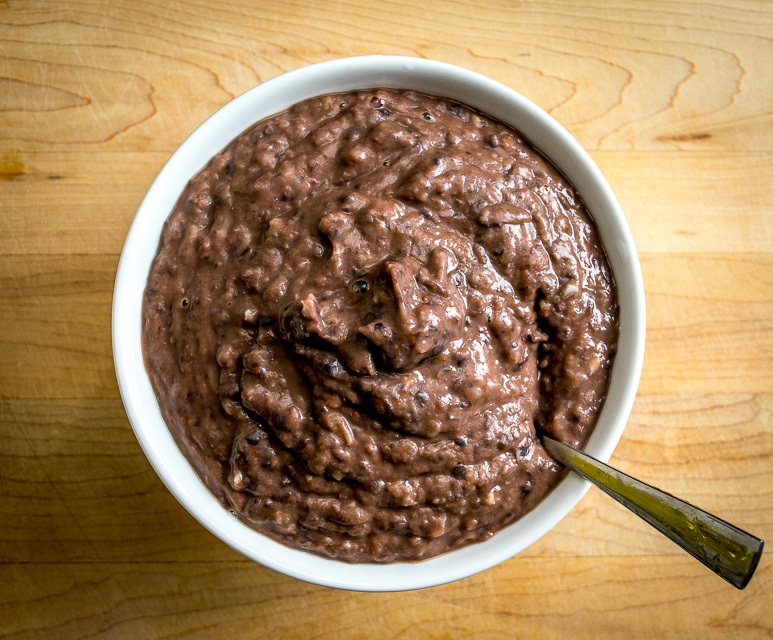 If interested in making this black bean puree you’ll find instructions for it in the recipe box below. And for a few more details on making refried beans, you can always refer to our Refried Beans post. Give everything a good chop and combine well. Be sure to take a final taste for seasoning, adding more salt and lime juice if necessary. You’ll end up with a vibrant bowl of Pico de Gallo that will regularly find its way into your kitchen. Okay, enough chatting, time to eat! 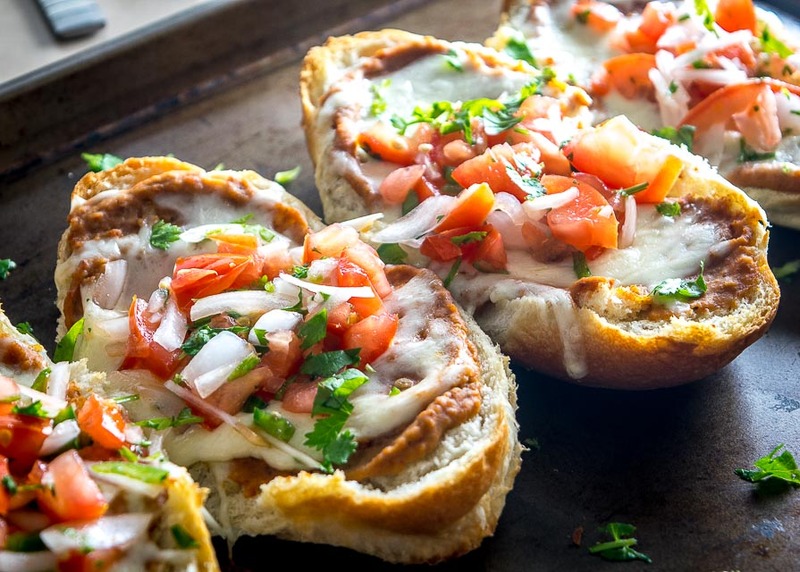 Molletes are typically served open-faced using bolillos, but any traditional sandwich roll will work for this recipe. Once you cut the rolls in half it’s worth baking them for a few minutes before adding the toppings; this will help crisp them up. You can optionally give the rolls a quick coating of butter, otherwise just throw them in a 400F oven for a few minutes. Then give each of them a healthy layer of beans and shredded cheese. 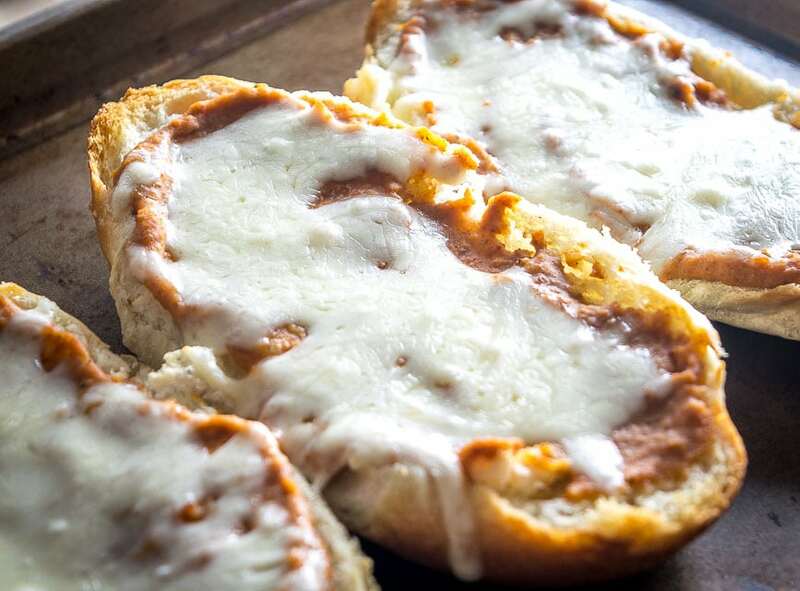 You can use just about any type of melting cheese for Molletes; this batch uses Mozzarella. Bake for 3-5 minutes or until the cheese is thoroughly melted. Add some Pico de Gallo to each Mollete and dinner is served! But don’t let the simplicity fool you — with some flavored beans and freshly made Pico they are massively rewarding. Let me know if you have any questions about the bean purees — I think it’s worth adding them to your arsenal as they’ll offer up meals like these Molletes whenever you get the craving (or don’t want to do much cooking). You can use the comments section below or you can always send me an email. 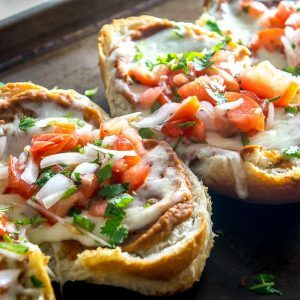 You probably already have all the ingredients you need for these Molletes (Mexican Bean and Cheese Sandwiches). Try them with some freshly made Pico de Gallo -- so good! If you want to make the bean puree, start by roughly chopping 1/2 an onion and peel 2 garlic cloves. Saute the onion and garlic in a dollop of oil over medium heat for 5-7 minutes. Drain and rinse one can of black beans. Add the black beans to the onion mixture along with 2 chipotles in adobo, 1 Tablespoon adobo sauce, 1/2 teaspoon cumin, 1/2 teaspoon salt, freshly ground pepper, and 1/2 cup water (or stock). Simmer for a few minutes until heated through. Combine the bean mixture in a blender or food processor. Salt to taste. 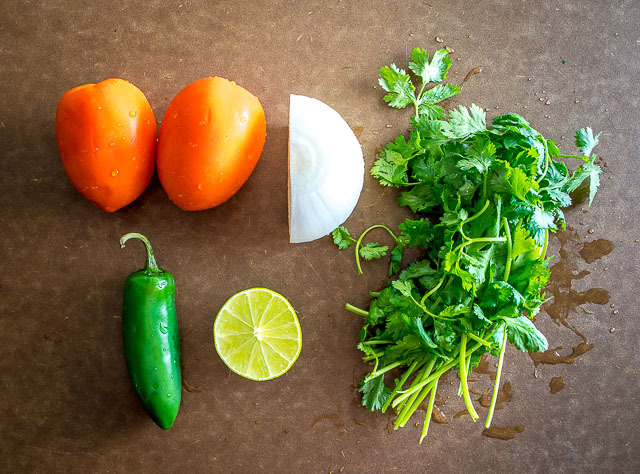 If making fresh Pico de Gallo, start by giving the veggies a good rinse. Chop up 2 tomatoes, 1/2 onion, 1/2 jalapeno, and 15-20 sprigs cilantro. Add to a mixing bowl along with 1/2 teaspoon salt and the juice of 1/2 lime. Combine well and take a taste for seasoning, adding more salt or lime juice if necessary. Cut the bread rolls in half and bake them in a 400F oven for a few minutes before adding any toppings; this will help crisp them up. You can optionally add a layer of butter to each roll. Top each roll with a layer of beans and shredded cheese. Bake for 3-5 minutes or until the cheese is thoroughly melted. Top with freshly made Pico de Gallo and serve immediately. Smooshing the bread rolls with your hand can make them easier to work with. 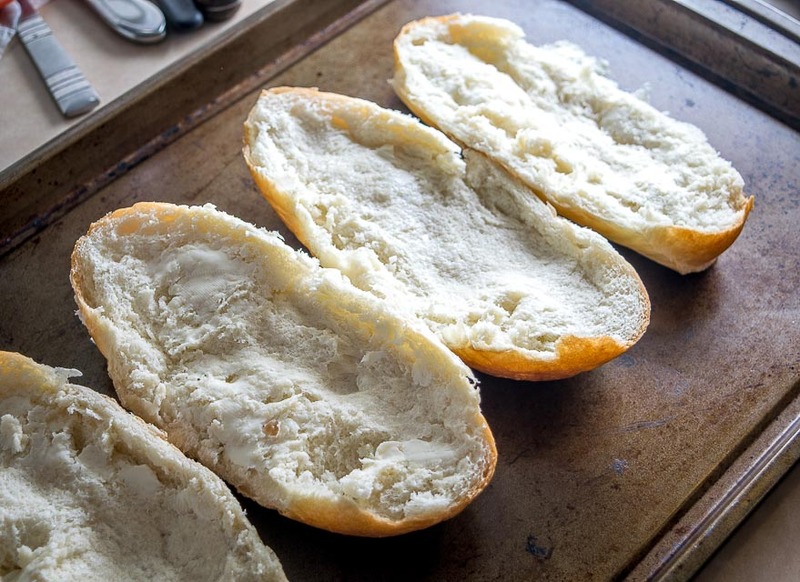 And if they seem too "bready" you can pull out some of the interior of the roll and discard. You can optionally add a layer of butter to the bread rolls for the baking period that comes before adding the beans and cheese. I usually start by using just 1/2 jalapeno in the Pico de Gallo, and adding the other half if I feel like it needs more heat. And I typically twist off and discard the bottom, thicker stems of the cilantro but use the upper stems. Patrick, I made this tonight but adapted the recipe to potato skins. They brought the house down! Love your site and look forward to your email every week. Oh wow what a great idea! Funny that you mention that too as I had Molletes for lunch today and I have leftover potato skins in the fridge and never even considered using them! Thanks much for the inspiration Mark! why not use freshly cooked Peruvian beans instead of can beans, can beans are full of chemicals. It only takes an hour to whip them up and you have better tasting food than food out of a can. Hi Kruz! Yeah home-cooked Peruanos would work great in Molletes, but this dish is meant to be quick and easy so I think you can get by using canned beans if you rinse them off well and then flavor them yourself. Cheers. Mark, when I looked at this post I though it was potato skins. The bread would change the texture some but skins with a good helping of refried and cheese with some bacon and cilantro would probably hit the spot. Need I say it would be great with the Avocado Salsa Verde as a topping. Creamy and rich with crisp and fresh, my favorite combination! This looks delicious! Cheers Debbie I think you will love them! I made a huge batch of Charro Beans and have been using them non-stop for these Molletes. Someone might have to slow me down. Made this last night and every part of the recipe came together brilliantly. I had everything on hand except I grated some Irish cheddar.Worked out divine! Thanks so much! Ha awesome thanks much for the feedback Irene! I’m always amazed when a delicious meal can come together quickly using common household ingredients. I made these Charro Beans tonight for dinner as a side dish to go with grilled hamburgers. WOW!! They were fantastic!! Be careful with the amount of salt used when substituting chicken stock for the 2 cups of water. The chicken stock will add more salt to the beans, my fix was another can of beans. By far the best Charro Beans I have ever made!! Everyone loved them and I can’t wait to try another recipe on your website!! FIVE STARS!!!!! Thanks Jim! So glad the Charro Beans worked out for you — and thanks for mentioning the salt level, I’ll note this in the recipe box for anyone who is using high sodium store-bought stock. Cheers.